One of the biggest and most popular financial products which actually has the might and the size to shake economies is Home Loan. Any rate change for home loans makes the front page of newspapers. The inability of a large number of people to pay it back in 2007 in the US was enough to cause a worldwide recession. 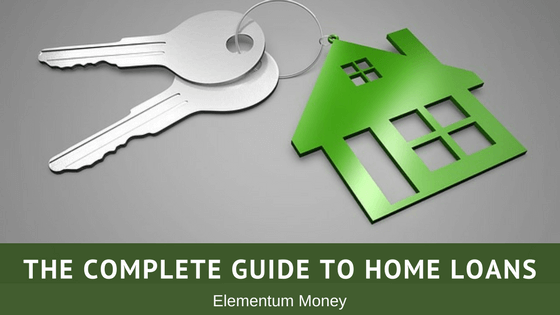 You can then see what an important financial product a Home Loan is. Most of us do end up taking it for a long long time which makes it critical for us to know all the basics about it before getting engulfed into it. 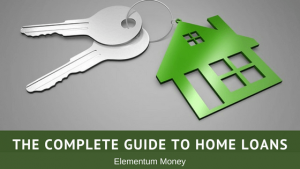 Before reading on, I would recommend that you also read the complete guide to Loans in which all the information remains valid for Home Loans as well. Home Loans are alternatively referred to as a mortgage. A mortgage refers to an agreement between a lender and a borrower where the borrower gives the title of the property papers to the lender till the time he pays off the debt along with the interest, with the promise of getting back those papers as soon as the loan is paid off. Mortgaging a property thus means giving its’ papers as collateral or security to the bank in return for funds. There are two types of lenders in India – Banks and NBFCs (Non-banking financial company) or HFCs (Housing Finance Company). While all housing loan companies are regulated and need a license to operate, the regulations are stricter and more rigorous with Banks (recent events and all the NPA stories might suggest otherwise though). NBFCs and HFCs are known to be easier places to get a loan – be it with a bad credit score or incomplete documentation. However, interest rates are more strictly regulated for banks and might be a safer bet in the long run. If you are buying a house, no lending institution will loan out the entire amount to you. As per regulation, the buyer is supposed to have at least a 20% equity (payment made out apart from the loan, to purchase the house) in a house that he buys. This equity amount is called down payment and a borrower is required to show proof that she has paid out that amount. So, for instance, you want to buy a house worth Rs. 70 Lakh. You would then need to come up with funds worth Rs. 14 Lakh as down payment and can then apply for the remaining Rs. 56 Lakh as the loan amount. This is one of the main reasons why a house is often a long-term planned purchase as accumulating funds for the down payment could require time and effort. Today the maximum term that you can get a Home Loan for, is 30 years. So, if you end up taking a 30-year loan and pay it as per term, for a 40 year period of working you would be paying a Home Loan EMI for almost 70% of that period! It is ideal to keep the term as low as possible and the EMI at a reasonable level that you are sure of being able to service it. Home Loan is the only loan where you can choose an interest type – fixed or floating. Let’s start with the easier one – the fixed interest rate, as the name suggests comes with an unchanging interest rate. If the interest rate at the time is at an unheard-of low level, then you could consider a fixed interest rate home loan. One of my colleagues at my first job still tells us how he has a home loan which he took at a fixed interest rate of 6%. Now, that’s smart. Floating interest rates refer to an interest regime where the Home loan interest rate changes as per MCLR. MCLR stands for Marginal Cost Based Lending Rates and is defined and announced by RBI from time to time. From Apr 1, 2016, all banks are supposed to move their interest rates as per the MCLR defined by RBI. Since these rates change often, a customer can choose to be aligned with this interest rate by opting for a floating interest rate. One should choose this option when the interest rate is high while availing the loan and there is a possibility of falling rates. When the rates change, today banks change the loan details automatically at the back end. You might not notice as there is no impact to the EMI but the loan term. So, if the interest rate drops, the EMI does not reduce. However, the remaining term is reduced, which is much better. This is a type of loan that has a provision for multiple borrowers on the same loan. Home Loans thus have a main borrower and a co-borrower. Co-owners of a property necessarily have to be co-borrowers whereas co-borrowers do not necessarily have to be co-owners. While processing an application, all details of both the borrowers are considered before sanctioning the loan. With any Home Loan application, as a borrower you need to pay a substantial amount of processing fees, often 0.5-1% of the loan amount. This fee is supposed to be a blanket term covering all requirements of processing the loan. However, some lenders charge under separate heads. 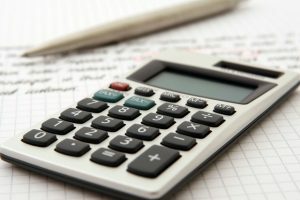 I found this list of charges a useful read. A Home Loan is a huge financial obligation. In India, any of the borrowers die, the loan obligation is passed on to the co-borrower or the legal heir. A home loan insurance covers for a situation wherein in case of a borrower’s death, the outstanding loan is paid off by the insurance company. There are different types of policies today which cover varied scenarios like job loss (for a few EMIs), critical illness, disability etc. The insurance is generally a single premium insurance, which is added on to your loan amount. In case you are taking a loan for a self-occupied property, it is a good idea to consider the insurance. However, if you do buy this insurance, ensure not to take into account the outstanding loan amount while calculating the rest of your life insurance. Yes, you still need a life insurance. A lot of the lenders do not give out a Home Loan without Property Insurance. However, the insurance is quite basic and well-worth the price since the price could be as less as Rs. 8,000-10,000 for a 20 year period. A lot of banks tie-up with some properties after a thorough evaluation and check on the builder and the particular project. The project thus becomes pre-approved by the lender. Pre-approved properties are generally easier and quicker to get a loan for, especially from a lender who has it on their pre-approved list. There are two types of tax exemptions available for Home Loans, on the basis of the two components of loan repayment – principal and interest. For a financial year, you can get the Income Tax certificate from your lender, which divides the total amount repaid into principal and interest. When you see it for the first time, you could end up shocked seeing the lopsided interest payment as compared to the principal. The amount of principal paid is exempt under Section 80C. Both co-owners and co-borrowers can apply for the exemption provided the total exemption applied for does not exceed total interest. Suppose you and your husband buy and property together and are co-borrowers for a loan on that property. In a particular financial year, you want to show principal paid as a tax-deductible for Rs. 1,20,000 while your husband wants to show it for an amount of Rs. 1,00,000. Both of you can use it for tax exemption if the total principal paid in the year exceeds Rs. 2,20,000. Interest payments made in a financial year are exempt up to a limit of Rs. 2,00,000 under Section 24. This can again be claimed by both co-owners and co-applicants provided total interest paid in the year is more than Rs. 4 Lakh. For a first time home buyer, the government gives higher incentive by giving an additional tax benefit of Rs. 1,00,000 under Section 80 EE. There are 2 stages when you can buy a house – fully constructed or when it’s under construction. While for a fully constructed house the process is pretty simple, for an under construction house, there are some things you should know. In an under construction house, while the entire amount is sanctioned in one instance on the basis of the total property value, the loan amount is disbursed as per the stage of construction. If you buy an under-construction property, the builder, along with the property papers gives you a construction schedule as well which talks about different slabs of construction. With every slab, a particular percentage of construction is supposed to have been completed. Suppose, you buy a house for Rs. 50 Lakh at a stage where it is 30% complete. The schedule tells you of a 10% slab every 3 months. When you take the home loan right now, the builder would have gotten the 20% from you and 10% of the total value from the bank (unless they have some special scheme where you need to pay a lower down payment). Every time they complete a schedule, the builder will send either to you or to the lender directly (in case of a good relationship with the lender) a disbursement request. The lender will send a team to technically verify that the construction is complete as per the claimed status. Once the technical report is filed, the lender will initiate a new disbursement amount and your EMI will increase from next month. Balance transfer refers to a process of transferring a Home Loan from one lender to the other. It is a tedious and harrowing process but is often done for the benefit of a lower interest rate. A balance transfer is better taken in the initial years as that’s when we mostly pay out interest. In the later years, principal component is much higher, reducing the effectiveness of a balance transfer. Often called home improvement loan, a top-up loan is more like a cheaper personal loan on the basis of your Home loan. Once you have paid at least 12 EMIs on a property under possession, you are eligible to get an incremental loan and increase your loan amount at the home loan rate (hence the cheaper. This loan is possible since you have paid off some bit of your home loan and it is expected that the property would have appreciated giving that margin. Hi Aparna, Nice and comprehensive post on home loans. In fact, the tagline of your blog really attracted me “The Thinking Woman’s Money Blog” a good one! Keep sharing your financial thoughts ?